Paoli, IN – The owners of Paoli Peaks filed a federal lawsuit this week trying to prevent the Indiana ski resort’s neighbors from harvesting trees on their property. The land, owned by the heirs of Charles M. Weeks, was leased to Paoli Peaks for 100 years in 1978 to form part of the ski resort. According to ski area officials, however, the heirs have been trying to renegotiate a higher rent for the land than that generated by the 1978 agreement. They assert that Weeks’ heirs are threatening to harvest the trees to force such a renegotiation. The lease terms for the former hog farming land call for payments of $10,000 a year or 1.5 percent of operating revenues. 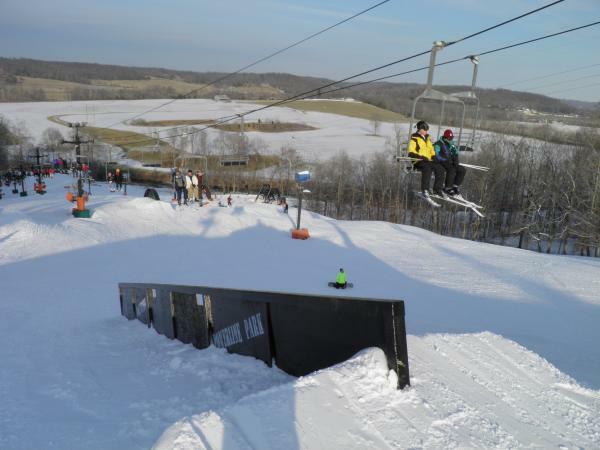 The ski area tallied approximately 100,000 skier visits last season and generated $4.3 million in fiscal year 2010. That leaves the payments to Weeks’ heirs at $50,000 to $60,000 per year. The lease terms do not include any provisions for the landowner to harvest trees or make any other improvements to the property. In their lawsuit, Paoli Peaks officials assert that the trees in question block the wind, enhance snowmaking and add to the beauty of the rolling hills surrounding the 200-acre Orange County resort. A hearing has been set for Aug. 31 regarding an injunction the ski area is seeking to prevent the cutting of the trees. No cutting may take place before then.